Happy October! 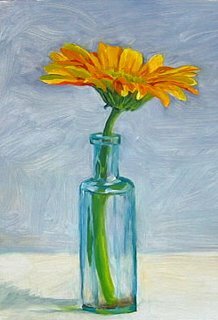 I put the pears aside to do this architypical daisy in a vase painting. I used to dread trying to paint gerber daisies, but practice has made them much less daunting..in fact a real pleasure.